Are you tired of sneezing and sniffling through the spring and fall with only partial relief from over-the-counter (OTC) allergy medicines? Maybe that tight feeling in your chest during allergy season is getting kind of scary, and sometimes you feel like you can't breathe. What's your next step? Sounds like it's time to look into prescription allergy treatments. You have chronic nasal congestion or sinus infections. You have allergy symptoms for several months of the year. OTC medicines don't work well or render you too drowsy to function. Allergies are disrupting your routine and reducing your quality of life. Allergic reactions can include rhinitis (inflammation of the nasal passages, also known as "hay fever"); asthma; skin allergies; or rarely, anaphylaxis, which is a potentially fatal allergic reaction that requires emergency treatment and may produce vomiting, diarrhea, difficulty breathing or a drop in blood pressure. Prescription-strength antihistamines and decongestants are often longer lasting than OTC varieties and include antihistamines, such as Allegra (fexofenadine) and Clarinex (desloratadine), as well as antihistamine/decongestant combinations. Corticosteroids are anti-inflammatory medicines come in several forms, including nasal sprays like Flonase (fluticasone), which, unlike many OTC nose sprays, do not make symptoms worse with prolonged use. Corticosteroids also come as inhalers, pills, and injections. Inhalers are often prescribed for the long-term management of allergy-induced asthma. Topical creams and ointments are used to treat skin-related allergy symptoms. Medications like Singulair (montelukast sodium) are anti-leukotrienes, which are used to treat allergic rhinitis as well as asthma by fighting chemicals called leukotrienes, which increase inflammation. Bronchodilators are available as inhalers, pills, liquids, and injections to treat asthma. People with severe, persistent asthma due to allergies may benefit from anti-IgE antibody injections, which prevent the release of histamine. 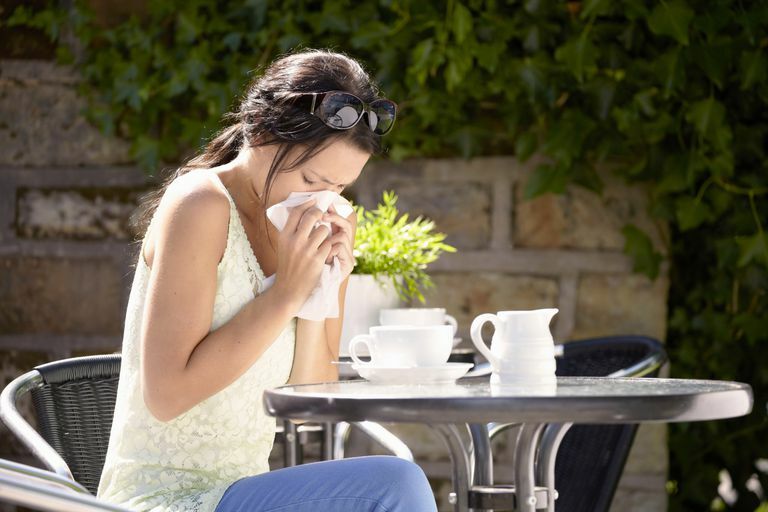 These antibodies also cause the symptoms of rhinitis, but their use for that condition has not been approved because of the availability of other, less-expensive remedies that do not require injections. Your doctor or physician can also refer you to an allergist for further examination. An allergist can perform allergy skin or blood tests and give allergy shots if needed. Original article content edited by Naveed Saleh, MD, MS.
"Allergy Overview." aafa.org. 2005. Asthma and Allergy Foundation of America. "Frequently Asked Questions About Allergy Medication." nationaljewish.org. Feb. 2006. National Jewish Health. "Step 9: Types of Allergy Medication." unm.edu. 7 Oct. 2007. University of Maryland Medical Center. "When Should I See an Allergist?" acaai.org. Nov. 2004. American College of Allergy, Asthma & Immunology.